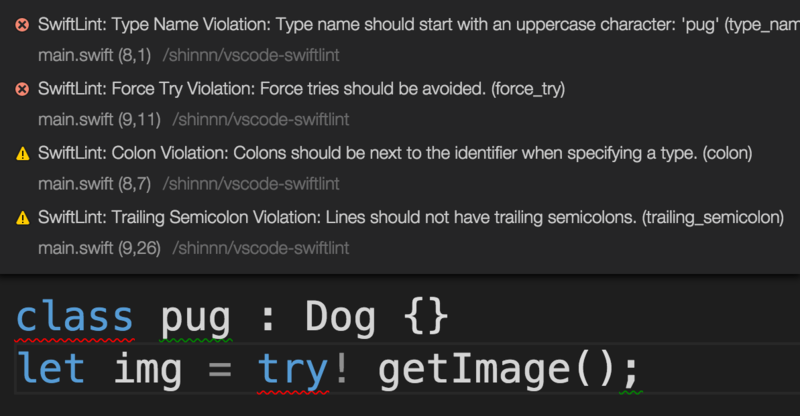 Visual Studio Code>Linters>SwiftLintNew to Visual Studio Code? Get it now. Ensure swiftlint binary is installed. You can also configure SwiftLint by adding a .swiftlint.yml file to the workspace directory.